Address: You can update your dealer’s address information under this heading. Contact Numbers: You can update your service or parts phone numbers under this heading. Website: You can update your website address under this heading. 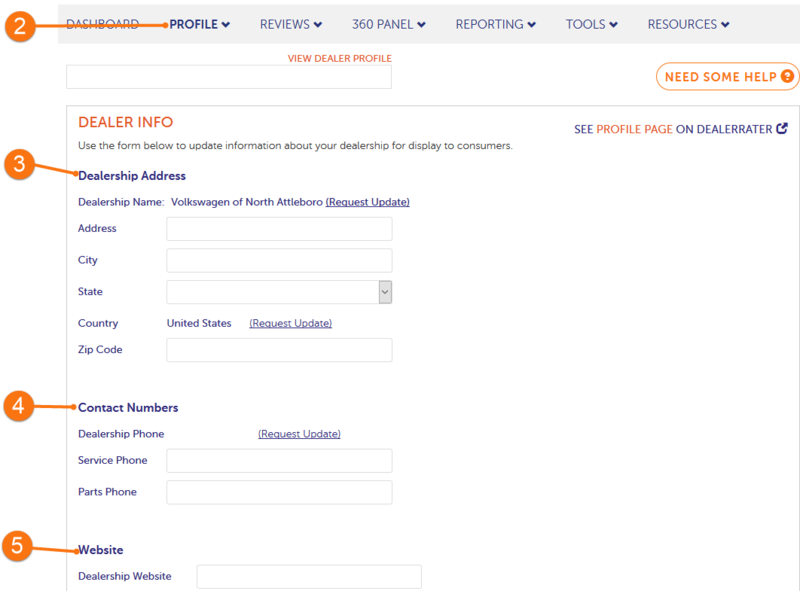 To update your dealer’s name, country, or main phone number, you can click the “Request Update” link to contact DealerRater Support regarding the update.